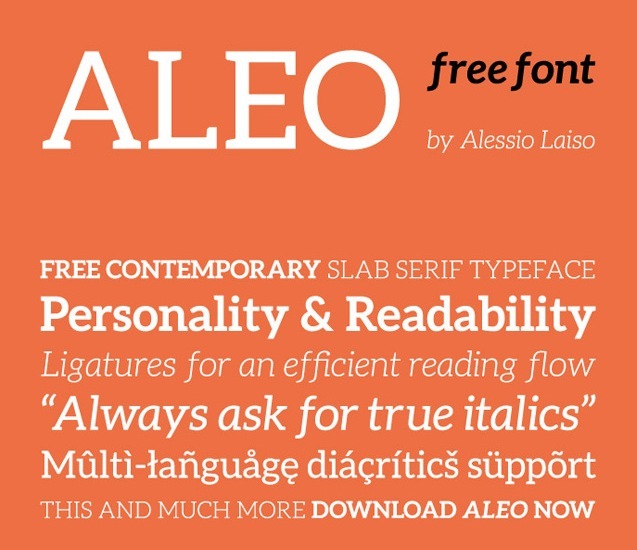 Aleo Free Font is a contemporary typeface designed as the slab serif companion to the Lato font by Łukasz Dziedzic. Aleo has semi-rounded details and a sleek structure, giving it a strong personality while still keeping readability high. The family comprises six styles: three weights (light, regular and bold) with corresponding true italics.